In the most recent PVE seasonal event – Shadow of the Serpent – players are rewarded for engaging the Serpentis Corporation, but there is a second group involved too: The Angel Cartel. Of all the pirate factions, they are certainly the most mysterious. Their origins are lost in obscurity, the inner circle of leaders is shrouded in secrecy, and much of their technology appears to be reverse-engineered from ancient relics. During their history of rapid expansion throughout the south-east of New Eden, they have fought against Sansha’s Nation alongside capsuleers, challenged the Minmatar Republic and of course allied themselves with the Serpentis Corporation. They are also the most multicultural group of outlaws besides capsuleer alliances. Although the core of their membership was formed by Minmatar, they have also included Amarr renegades, Caldari soldiers-of-fortune and Gallente smugglers since their earliest days. In this article I want to provide an overview of this colourful and dangerous faction, who they are, how they developed and their modus operandi. During the early stages of Amarr expansion, enterprising explorers gave newly discovered constellations grand and hopeful names, one of those was Heaven in the region we now call Curse. After the initial wave of exploration and prospecting, the Amarr soon lost interest in the area though. It was the time of the Reclaiming, and the Empire was more interested in discovering and assimilating civilisations rather than colonising empty space, so they turned their attention towards the nearby Minmatar. The Amarr invasion of that space faring civilisation lead to the first major influx of people into the Heaven constellation. Scattered Matari who had escaped the destruction of their nation hid there, together with the handful of Amarr heretics and apostates who had remained in the region. It must have been around that time that those refugees and outcasts discovered the ruins of a long-lost culture. The ancient but advanced technology they uncovered there would later become a staple of Angel Cartel engineering. What had started as a salvaging and exploration effort expanded into a fully fledged colonisation of the Heaven constellation and the further reaches of Curse. Operating in secrecy, the settlers developed a network of smugglers and black-market traders which spread throughout New Eden. The residents of Heaven were ruthless pragmatists and would buy or sell everything from everyone. They sold weapons to Minmatar terrorist cells, slaves to Amarr nobles, drugs to the Gallente and luxury goods to Caldari executives. They also began to recruit new members from all those cultures until they became a secret nation of their own. Multicultural as they were, they even developed their own language; an amalgamation of criminal slangs from hundreds of worlds. As their wealth grew, so did their influence, and only four years after the formation of CONCORD, they finally revealed themselves. Since they “came from Heaven” they named themselves the “Angels of the Book”. Outsiders would soon refer to them as the Angel Cartel. By that time, they were already a formidable force, but in YC 10 they would gain yet another massive influx of people. The Minmatar Rebellion again uprooted and displaced billions of people, and many of them ended up with the Angel Cartel, either as members or as slaves. 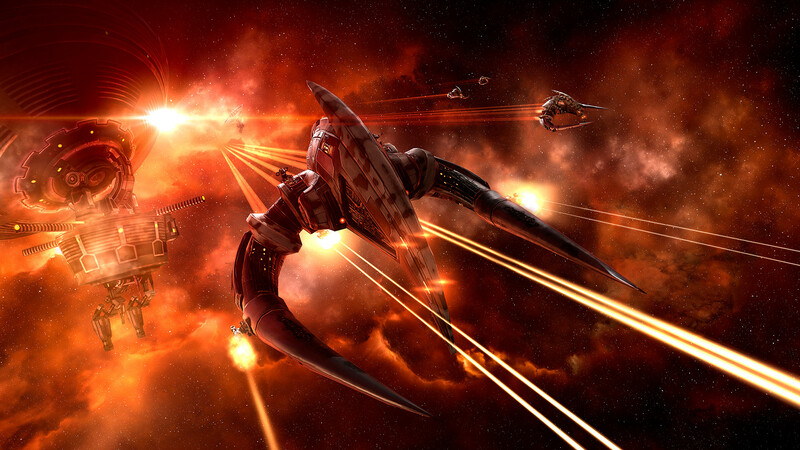 Most unsettling for the officials of the DED, and defense forces all over New Eden, was the realisation that the Angel Cartel had secretly built a whole line of unique warships which they used to subdue all nearby pirate groups in Curse and even launch raids into sovereign territories. The technology used in their shipbuilding appeared to be based on design principles also applied in Minmatar engineering, but there was more to it. When the Jove revealed themselves to the rest of New Eden, those who examined Angel Cartel shipwrecks considered it likely that the old remnants which had been uncovered by the settlers of Heaven must have been the leftovers from the First and Second Jove Empire. The Angels themselves reject such accusations of merely stealing technology. This could be manifestation of their pride or an effort to keep their cards close to the chest, or both. In any case, the Jove never confirmed or denied anything, and despite the fact that Angel Cartel blueprints have long since leaked and circulated, nobody knows for sure where they got the inspiration from. The Angel Cartel became an agenda point on meetings among high-ranking law-enforcement and military officials, but they were not simply an emerging pirate organisation that could be dealt with swiftly. Because they had only become known at a time when they were already fully established as a major force, CONCORD and the various governmental institutions first had to catch up with them. By that time, the Angels had spread their tendrils all over New Eden already. No organisation since the first emergence of Sansha’s Nation carried such a threat, but unlike Sansha Kuvakei’s minions, the Angels were not a force that could be defeated militarily. They had seeped through all the cracks and melded into all the shadows of illegality, corruption and vice across the cluster. They controlled criminal organisations which acted as their proxies. They had infiltrated or gained leverage over law enforcement, military and government institutions. Even the highest echelons of Caldari megacorporations were riddled with Angel Cartel influence. As if to prove that they can act with impunity, the Angels deployed a whole subdivision of their organisation all across New Eden to Fountain in YC 75. Their whole R&D department – The Guardian Angels – supported the emerging Serpentis Corporation in their emancipation from the Gallente Federation. True to the martial nature of the Angel Cartel, the Guardian Angels have more in common with Fallout’s Brotherhood of Steel or the Warhammer 40K Adeptus Mechanicus than with a department of scientists in labcoats. As such, they did not only develop new prototypes for the Serpentis – like the Daredevil – but also acted as their high-tech squad of enforcers and bodyguards. With the help of the Guardian Angels, the Serpentis managed to keep both the Gallente Federation and the DED off their back, and they solidified their power. It took another force of elite renegades to finally dispel the myth that the Angel Cartel was unbeatable: Mordu’s Legion. Again the theatre of operation was the Serpentis territory in Fountain when the forces of Muryia Mordu raided it for resources in YC 106. 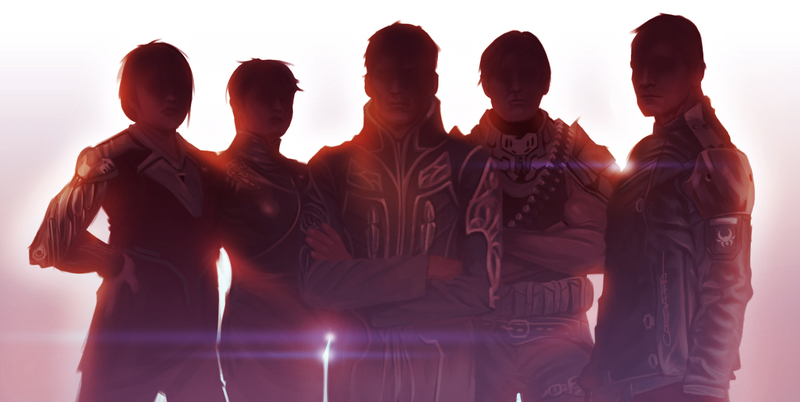 Although they were numerically inferior, the Legion had some of the best tacticians and elite crews of New Eden. 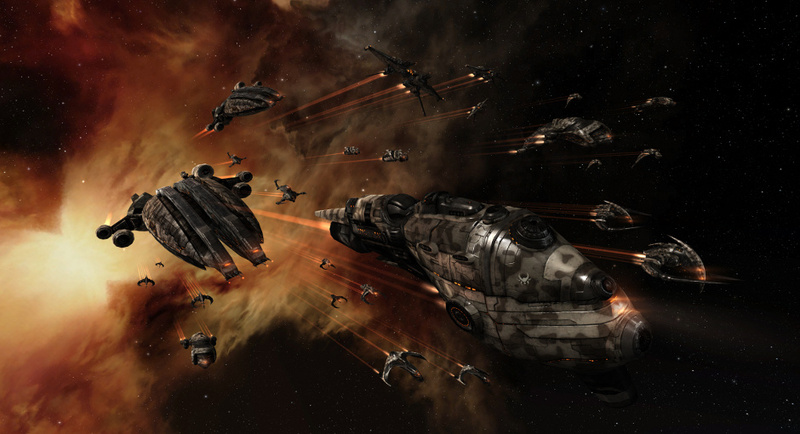 When the Guardian Angels and Shadow Serpentis fleets tried to corner Mordu’s raiding parties and obliterate them, the result was a week-long game of cat-and-mouse where Mordu’s Legion continued to outmaneuver and outsmart their opponents. After they finally withdrew, Mordu’s Legion had barely suffered any losses but had destroyed many stragglers, scouts and patrols of their opponents. Although embarrassing, this only affected the Guardian Angel detachment though. On the other side of the cluster the Angel Cartel fared better against another opponent. Deep in the lawless region of Stain, they had encountered the first evidence that Sansha’s Nation had not been destroyed completely. Relations between the two groups were never peaceful after that, but in YC 108 they escalated into all-out war when Sansha forces attacked en masse. Many presume that they were after the Jovian technology possessed by the Angel Cartel. In the light of later developments it even appears plausible that Sansha’s transhuman slave armies actually achieved their objective, but they did not win the war. In an unprecedented move, the Angel Cartel allied themselves with one of the first emergent capsuleer alliances – Ascendant Frontier – and relentlessly drove the Sansha fleets from their territories. Finally, in YC 110, the Angel Cartel exploited the instability of the young Minmatar Republic. Previously, the Angels had become close with the fiercely independent and no less martial Thukker Tribe. Together they occupied the Republic system of Skarkon and declared the Minmatar government unfit to rule it. That embarrassment for Karin Midular’s government became even more aggravated when it turned out that the people of Skarkon actually supported the Angel Cartel takeover. Where that surprising level of support came from is inconclusive. The inhabitants of Skarkon may have cheered for the Angels out of fear, or maybe they truly respected the new authority? One thing is known for sure, committing atrocities against civilians is frowned upon and not sanctioned by leadership. When fleet commander Origen occupied the Konora system and brutally subdued protests by the local population, he was quickly declared a renegade and his forces were hunted into extinction. This harsh form of justice is rooted deeply within the unique culture of the Angel Cartel. 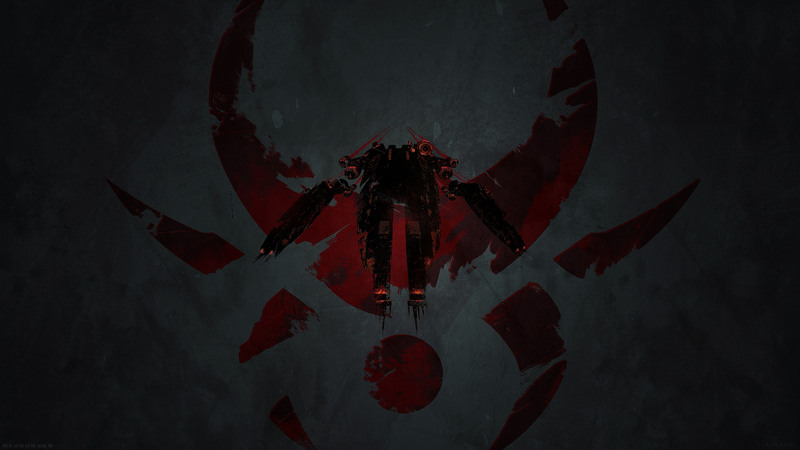 In many ways, the Angel Cartel is organised like a major capsuleer alliance. They are very tightly knit, on all levels they see their peers as family, even if they are not bound by blood or ethnic background. Angel Cartel members are expected to serve with absolute loyalty and unquestioning obedience, but even down to lower ranks they are also trained to take command and act independently. Since they recruit from all over the cluster, their organisation features aspects from all societies. Minmatar resourcefulness, Amarr determination, Caldari efficiency and Gallente shrewdness are forged into a whole that is held together by a strict hierarchy and incredible discipline. This organisational structure rests on three main pillars. The Salvation Angels are the oldest of those. They can trace their lineage back to the original settlers and prospectors of Heaven. Exploration, salvaging and resource gathering is still their main activity today, although they have taken up many of the tasks of the Guardian Angels. When the latter got deployed to Fountain, they had been the researchers, designers and industrialists of the Angel Cartel. They can be counted among the best shipbuilders and weapon manufacturers of the cluster, but other than most they are also very well trained to put everything they make to immediate use. They are the most independent part of the organisation due to their alliance with the Serpentis and the general tendency to travel far and wide throughout New Eden. The final main cadre are the Archangels. That is the true fighting elite organised into several units or clans, like the Gistii, Gistatis or Gistior. From crewman and footsoldier to fleet captains and even capsuleers, a member of the Archangels dedicates their life to combat, only the best and most dedicated are admitted into their ranks. It would be a mistake to view them as just an elite group of pirate raiders though. The Archangels are as good at covert operations, commando raids and smuggling as they are with all-out warfare. Binding those three together is a network of spies, fixers, infiltrators, brokers and financiers. They have no official division name, but they are an intrinsic part of the Cartel from the very beginning when the Angels were just petty smugglers and black-market dealers. Today, they own shares in interstellar transport companies which form major smuggling rings, and the black market in many systems is firmly under their control. They are cunning and discrete operators, but they can be just as ruthless and fierce as the rest of their kind. The Itsukame scandal of YC 109 has demonstrated how far Angel Cartel influence reaches and how quickly their operatives can liquidate assets, destroy evidence trails and redirect resources elsewhere with nobody the wiser. Experts in the field of intelligence believe that there are many, maybe even dozens, of operations on a similar scale which have not yet been uncovered. At the apex of the Cartel are the Dominations. Their lower cadres of diplomats, strategists, commanders and generals are known, but the inner circle of this exalted division is shrouded in secrecy. Nobody except the most trusted members knows who the true leaders of the Angel Cartel are. Not even their number is known. This only adds to the mystique and dread which surrounds these interstellar pirate clans. Anybody could be a member of the inner circle. It is assumed that anybody who leaves the inner circle of the Dominations has everything they know about that shadowy cabal wiped from their memory. Today, the Angel Cartel is a source for concern to governments and law enforcement all over the cluster, and many will readily employ capsuleer pilots to fight that menace. The Angels themselves do not even see the armies and navies of other powers as a threat anymore. Their only concern are the alliances of capsuleers, many of which have infringed upon their territories and wage constant war against them. Despite this, the criminal network and war parties of the Cartel remain successful and nobody can tell what their next move could be. Even though every once in awhile, some of the Angel’s well-kept secrets do fall into the hands of capsuleers – such as the design blueprints for the Chremoas and the Moracha – the biggest and most ominous question still remains unanswered: what is the grand plan of the Dominations? In the past the Angels have occupied sovereign systems and launched campaigns, only to abandon them for no apparent reason. What they achieved during such sorties remains a mystery. One consolation for CONCORD and the governments of New Eden is the fact that the Angel Cartel appears to reject all notions of becoming a legal authority. Instead, the inner circle seems determined to remain fully independent of the trappings of government and rather project power through their network of infiltrators, smugglers and fearsome raiding parties. Should they ever change their attitude, New Eden could face an invading force that is no less dangerous than the fleets of Sansha Kuvakei. P.S. : My thanks to the people who keep up the Backstage Lore Wiki which served me well for this article after the EVElopedia was taken down. Another valuable resource is the EVE Source book – which I can only recommend – and the many in-universe news created by the CCP teams. Last-but-not-least, I want to thank Gabriel Cassata for the great artwork that captures the spirit of the Angel Cartel inner circle perfectly.